My Great Maps is a resource that will allow your students to paint, draw, create lines on and add points of interest to a variety of maps. 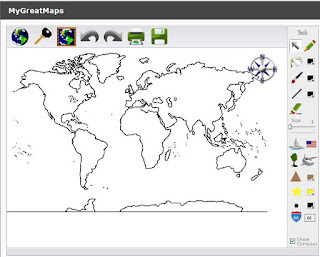 Users can choose from maps of the world, continents, the United States, countries, and flags. When complete the maps can be printed or saved if you are a registered user. Registered users also have access to more maps including US states.